Business Cornwall: How is the business best described? We are a creative digital agency specialising in marketing, development and design, helping our clients to reach new peaks! Business Cornwall: Why was the business founded? After working in-house for large organisations as well as working for a large agency, I saw the gap in the market for offering a more personable service for SME’s, which really focuses on driving results for their business. Business Cornwall: How does the business compare to competitors in the industry? Competitors aren’t something we keep a close eye on so we aren’t entirely sure what the Cornwall agencies are like. The only things we can go off are our testimonials which a lot of the time talks about the great service we offer compared to their previous experiences. You can find all of these on our website! 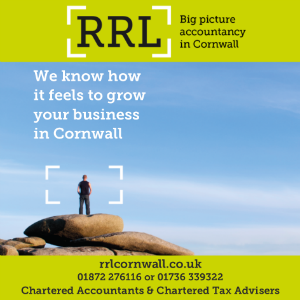 Business Cornwall: What are the business’s plans both short-term and long-term? Short term, we want to continue to engage with ambitious clients who are serious about taking their marketing or brand to new peaks. Long term, we want to ensure that throughout any growth of the business we keep to our values and mission to offer the best customer service and give 110% to every project. Business Cornwall: How does the business define success? Success for Peaky Digital is working on exciting projects for products/services we feel passionate about, ensuring our clients are getting their desired results and love working with Peaky! Previous articleSpaceport ready for takeoff?